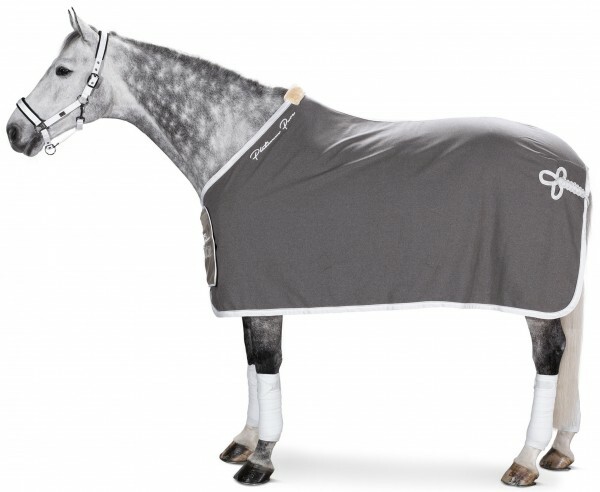 Comfortable and functional cooler rug from the Platinum Pure collection of Eskadron. The rug has a luxurious tail ornament and an Eskadron logo on the both sides. The front closure has a double male/female closure with a chest flap with velcro and a luxury Eskadron Platinum Pure-logo over it. Furthermore, the rug has a wither protector of imitation fur, detachable cross surcingles and a contrasting piping. Machine washable. Available in the colour platinum grey.